Hey everybody! I'm the resident woodwind expert so direct any questions my way. I studied jazz saxophone at Radford University and play and have been recorded professionally. 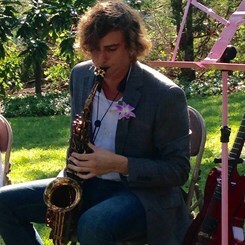 Aside from my saxophone experience I also play almost all woodwind instruments as well as guitar and piano. Bring any woodwind questions to me and I will do everything I can to help!